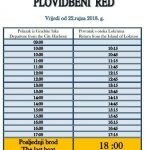 The Island of Lokrum Nature Reserve issued a new lines for this autumn, starting on September 22nd. First departure from the City Harbour will be form 9 am, next one @10 am, following by lines every half an hour. 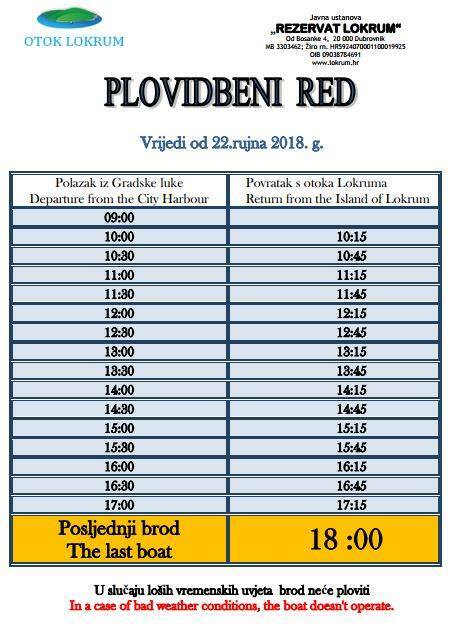 The last boat is at 6 pm. 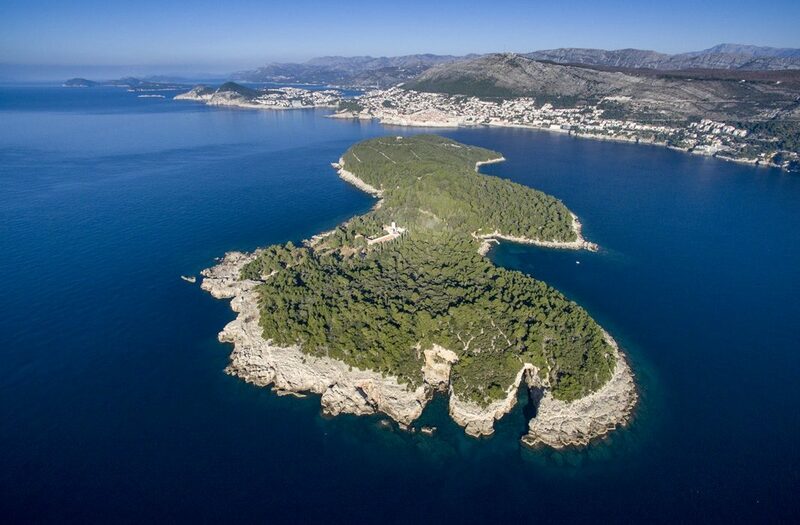 Return from the Island of Lokrum is from 10.15 am every half an hour until 6 pm. In a case of bad weather conditions, the boat doesn’t operate. See the full timetable in our gallery!